Protecting the environment is a key issue for Russia, with its vast wilderness areas and its economy’s reliance on extractive industries, which have the potential to cause massive pollution. 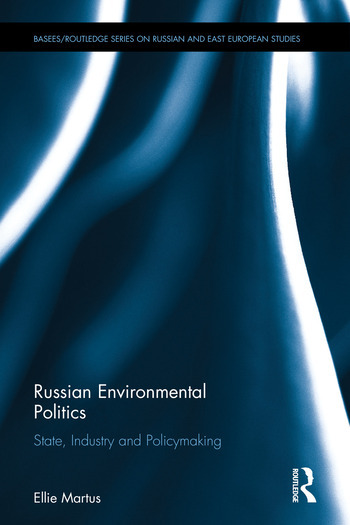 This book explores how policymaking works in Russia, focusing on the important field of environmental policy. It argues that, contrary to the prevailing view that the presidency dominates the policy process, with Putin making all major decisions or at least being the arbiter between conflicting parties, policy is in fact made a range of competing interests including the bureaucracy and influential industry and industrial association lobbyists, with relatively little intervention from Putin. The book shows how, although Russia does not have a strong civil society, environmentalist views are represented through the institutionalized bureaucracy. The book concludes that policy decision making in Russia is quite dispersed and not overcentralized.